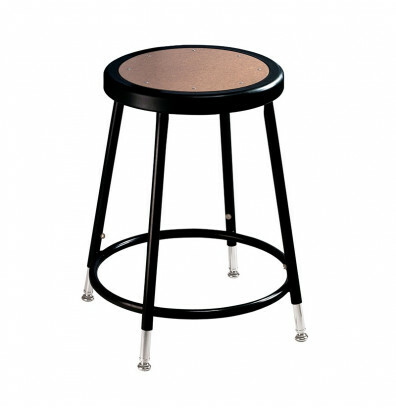 NPS height adjustable science lab stool offers a chip and crack safe seat. Reliable steel frame with footrest. Available in multiple colors. 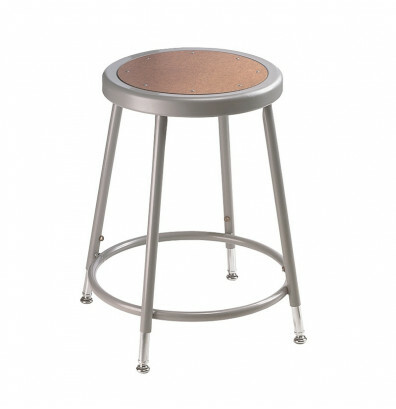 Seat Height: 19" to 27"
National Public Seating 6218H science lab stool features a chip and crack proof masonite board seat. Height adjustable from 19" to 27" high. Heavy-duty 18 gauge steel tube frame. Welded footrest provides added support. Sturdy 4-leg base with self-leveling steel glides. Available in multiple colors.